Are We designed Interactive Gastronomy experiences. We propose new ways of interacting with food. We convert sauces, foods or plants into interactive interfaces with which we open a world of possibilities for the gastronomic experience, being able to communicate with both physical and audiovisual elements. We are specialists in eating design, members of ifooddesign.org, and one of the few experience design studios that has combined gastronomy, art, interaction and technology. We help you to turn your gastronomic creations into a unique experience. Tell us your cooking concept and together we will create something unique and impressive. Do you want a surprising Catering? Through our interactive gastronomy prototypes we make your catering an experience. Also, we do not interfere in the normal functioning of the catering since our experiences adapt to your dishes. Through our Experiential Catering we help you to transmit technological, innovation and sustainability values in your events. Interactive plants with personality, sauces that sound when wet, generate music when picking up a canapé or tasting an Iberian ham cut live with our amazing jamoncello, are just some of our Gastronomic Experiences. 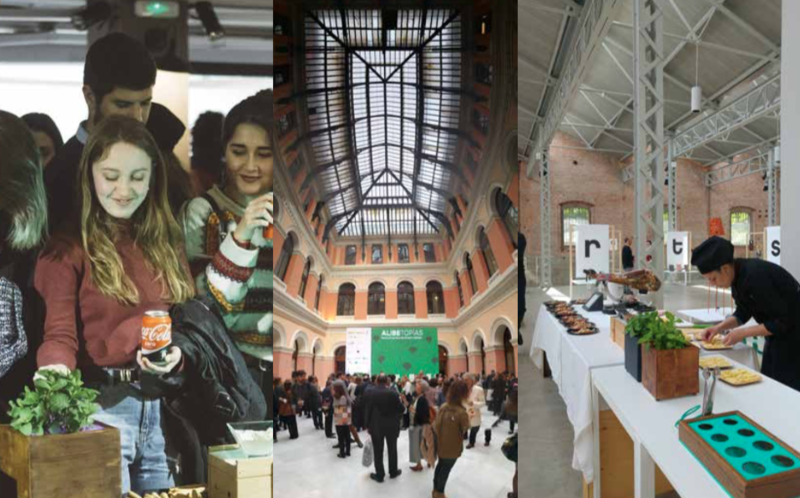 This innovative integration of experience design, quality gastronomy and technology has obtained outstanding successes in events such as ArtSkills 2018, MINI Hub, Gastrofestival 2016, FIAB 16 Feeding the Future and winners in the BigFood Awards of the _diMad (Design Center of Madrid). An amazing and fun way of eating because when the sauce is dipped the support lights up and salsa music plays. Gastronomic synesthesia! Based on the classic game Operation, we propose to gamify the final sweet detail with jellybeans or chocolates. A fun participatory experience that transports us to childhood. A surprising original musical instrument in which when cutting an Iberian ham it sounds as if it were playing a cello. It is an ideal action for the reception of an event, catering or shows. In addition to surprising the attendees it is already known that with a good Iberian ham it always hits and we ensure a well-tuned cut. We propose to aromatize the hands with aromatic plants to provide nuances in elaborations that are eaten with the hands as canapés or snacks. The method unites all the senses. Touch, smell and eat. These plants have a surprising personality with which you interact when you touch them. One is ticklish and the other likes to be touched. A tool for your events to show a portfolio, a catalog of products or works at the opening of an exhibition. Through the act of dipping in a sauce we sail. Through the act of dipping in a sauce we modify an audiovisual piece of generative art. Food Code! 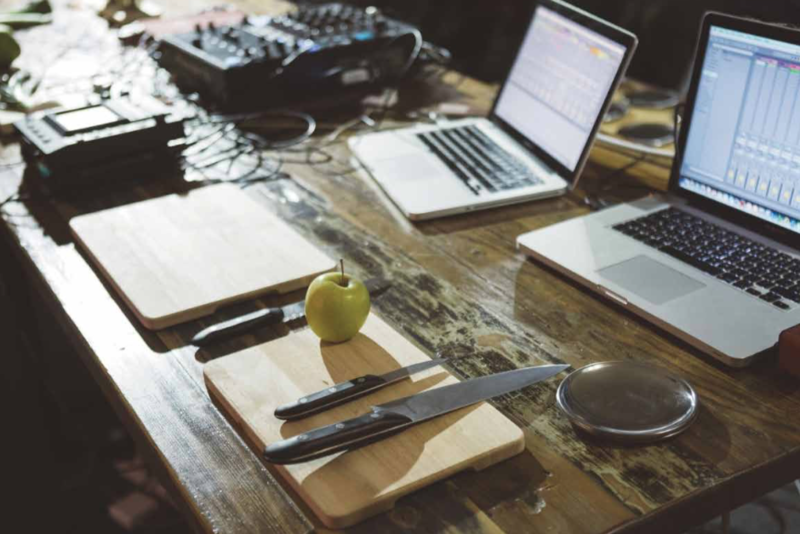 Interactive installation in which the audience when picking up and the waiters when replacing plates is activated and modulates the audio generating a unique piece of music. Can you imagine eating liquids and small spherifications that levitate? This is what we propose to you. An incredible experience where we unite science and gamification.